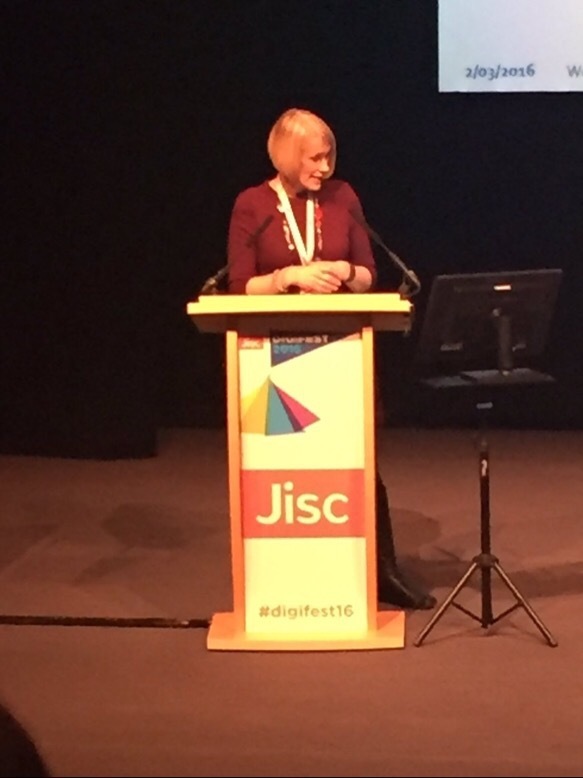 This week I attended our annual Jisc conference Digifest16 at the ICC in Birmingham. 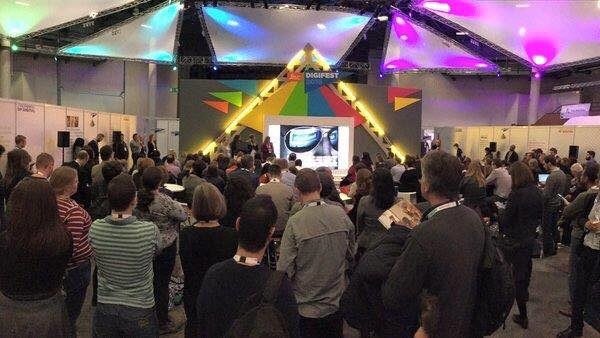 Over 1,200 delegates attended from across UK higher and further education and skills both online and in person. The Power of Digital was the conference theme and my interest focused on learning and teaching and the student experience. Having attended over ten years of Jisc conferences it’s always interesting to see what themes, ideas and discussion we can take away and address in our work. The opening plenary contained some themes which we have focused on previously as being key to transforming education with technology: Learning spaces and importance of people and supporting the development of their practice. So often we can get swept away with the shiney and new without considering the why and how questions. What are the benefits and enhancements that this tool could bring? Professor Andrew Harrison shared examples of innovative spaces across the world. I was very pleased to see the focus back on learning space design and the importance of seamlessly integrating technology into spaces. Every space on campus has the potential to be a learning space – formal and informal, corridors and external spaces. This takes me back to some work I led in 2005 on designing technology enabled learning spaces. The excellent guide Designing spaces for effective learning, authored by Ros Smith, still contains very relevant points for effective practice in this area. We need to gather more examples of learning spaces and also gather evidence of what works well as has been done through the Jisc online guide. University of Westminster has an ambitious refurbishment project creating exciting new technology enabled spaces and is evaluating their use. This short video filmed at the conference captures views from delegates on the topic. As I am now co-ordinating the FELTAG ( FE Learning Technology Education Action Group) Coalition I was involved in a panel session discussing the evolution of FELTAG and how colleges are responding to FELTAG requirements. On behalf on the FELTAG Coalition, we have published an effective practice guide which showcases how colleges and skills providers are meeting FELTAG agenda. With senior managers from Warwickshire, South Staffordshire and Highbury College, we discussed how technology was no longer an optional extra. It is now an essential part of the core business of a college. The importance of getting the infrastructure right so as to support learners’ use of their own devices with robust wifi a priority. Staff skills and developing their digital capabilities is essential if we are to realise the pedagogical benefits of technology. Confidence to experiment, be creative and co-develop new opportunities for learning was also highlighted by Heather MacDonald, Principal of Loughborough College in the day 2 plenary. The importance of visionary leadership from senior leaders and governors who advocate the effective and appropriate use of technology was also evident where we are seeing colleges embracing FELTAG. There are still assumptions being made around learners confidence and capabilities of using technology for their learning. We need to encourage colleges to gather their learners’ expectations and experiences of technology to make more informed decisions about the digital. 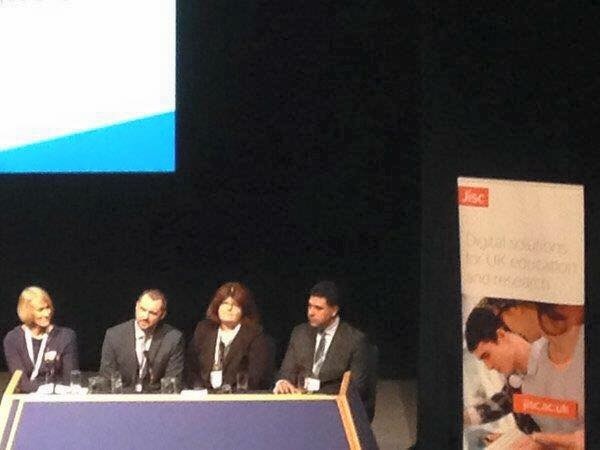 The work I am leading on the Digital Student continues to drive this area forward and influence practice. Learners in FE and those studying part time as work based learners, or on apprenticeships have very varied views on technology. Focus groups, card sort activities, use of social media and more formal surveys of learners are all approaches to gathering learner views. The Student Digital Experience tracker pilot is about to start with a selected number of universities, colleges and providers using a short survey with learners to gather their views on technology. Informed by the Jisc NUS Benchmarking the student digital experience this could offer institutions valuable insights on how their learners are experiencing technology. Hear delegates’ views on how technology is supporting the student experience. Students as partners in driving forward change with digital came through strongly in two other sessions I was involved with. We heard from Dave Monk from Harlow College on the work of their digital student ambassadors and from Kerry Gough and get students from Birmingham City University. The Change Agents’ Network has been instrumental in supporting students as partners on digital projects and our developing successful student partnerships guide offers valuable advice. Students spoke of the benefits of being involved in change agency projects and how they developed their employability skills as well as a better understanding of the use of digital. This was echoed in our Working in partnership with students to develop their employability. The excellent report and case studies from Peter Chatterton and Geoff Rebbeck discusses how technology is supporting employability within colleges and universities. We heard from James Kieft on how Reading College and Activate Learning are embedding opportunities for their learners to develop their use of technology and make links with employers through Google classroom. 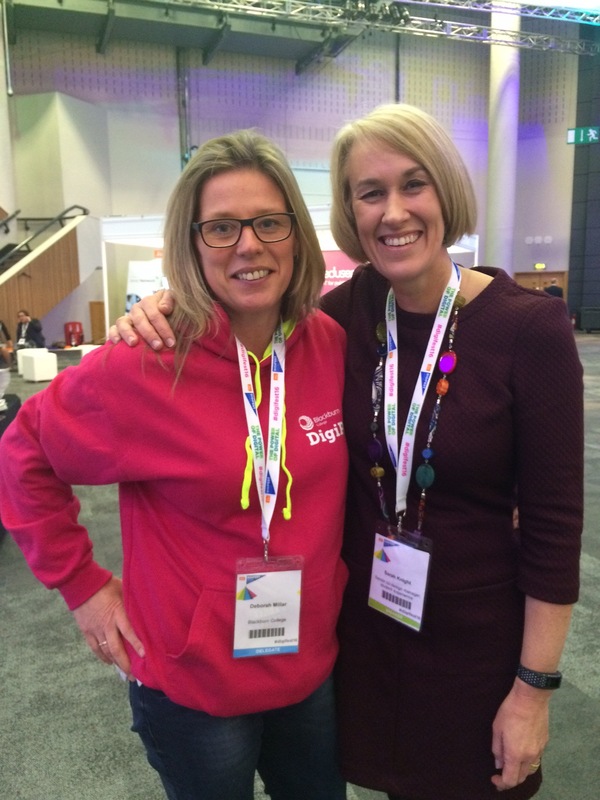 Other highlights for me included hearing Chrissie Nerantzi from Manchester Metropolitan University challenge delegates to encourage playful learning – experimentation and creativity with the digital. Chrissie used balloons with the audience to demonstrate this! A special mention to the students of University College Birmingham who catered the conference dinner. It was a superb meal one of the best conference meals I have had the privilege of experiencing. 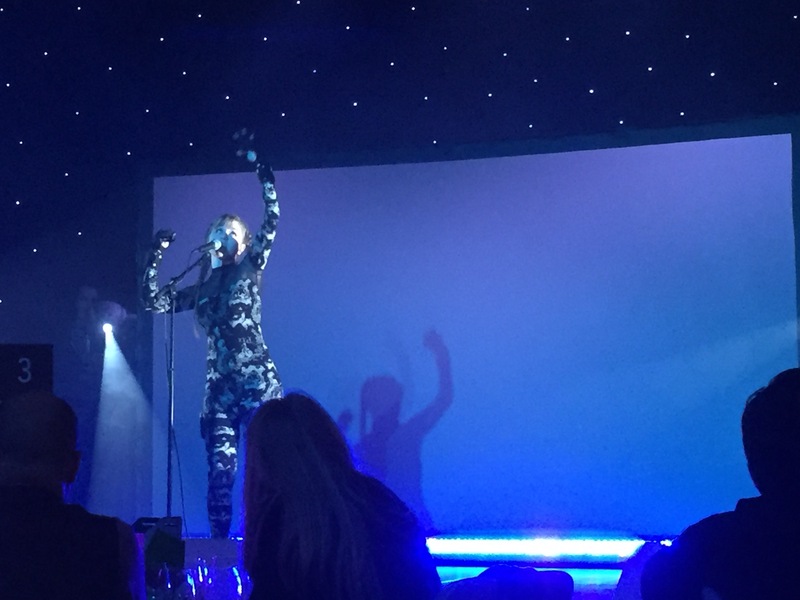 We also had the excitement and intrigue of a musical performance with the mi mu gloves – showing the true meaning of ‘feeling the music’. The most important part of the event for me was catching up with colleagues and friends new and old, across FE and HE to hear their ideas and how they are taking forward their practice in the challenging and demanding times we are in. Two days to escape our day jobs, to indulge in our own CPD, to discuss and support each other with our visions for what we know and believe digital can transform. Thank you to all involved and for making #digifest16 such a vibrant event.